Root Canal (Endodontic) Treatment– is a process where the infected, damaged or dead pulp nerve is removed from a tooth. A tiny nerve and blood vessels are located in the middle of the tooth that help the tooth grow and develop. When this space is invaded by bacteria via deep cavities (decay), cracks, or wear/holes in your tooth, it can become abscessed. An abscessed tooth can cause pain and/or swelling and if left untreated can cause serious oral health problems. You will first be given local anesthetic (freezing) in the area being treated. We will then isolate the area using a rubber dam (rain jacket) for your tooth. This will protect your tooth from bacteria and saliva. We will clean your damaged nerve by accessing a small hole from the top of your tooth. Using very small instruments and disinfectants, the nerve will be removed and the chamber that it lived in will be cleaned. The chamber is then filled and sealed. 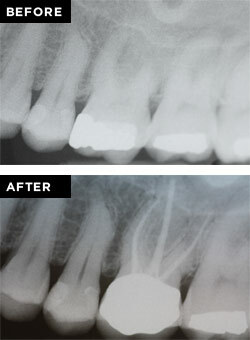 The opening of the tooth is then filled using a temporary or permanent filling until you return and receive a crown. 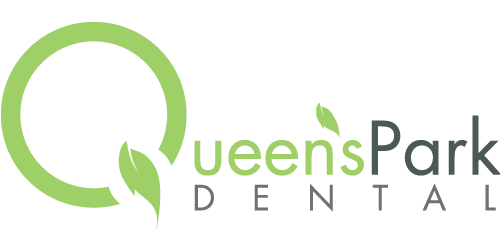 Root Canal Treatment may be done in one or two appointments. After a root canal is completed, your tooth may be tender for one or two weeks.